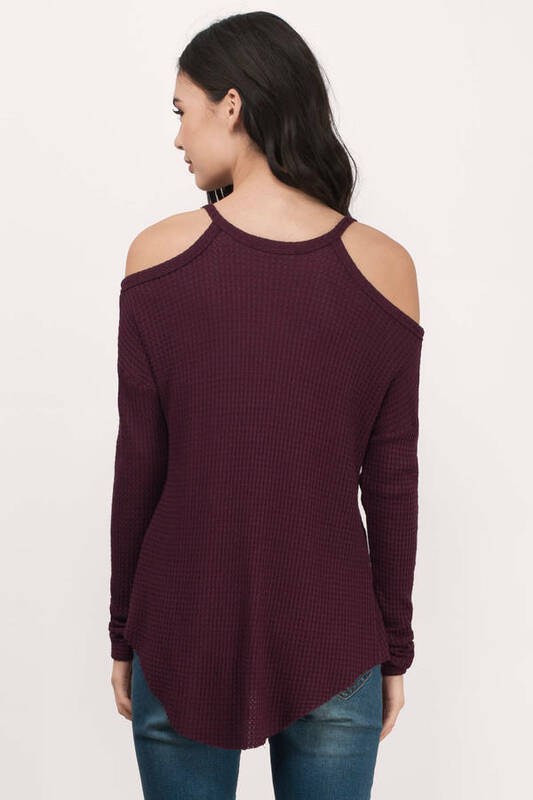 Check out Tobi's Meg Cold Shoulder Top You'll be a ray of sunshine in the Meg Cold Shoulder Top. 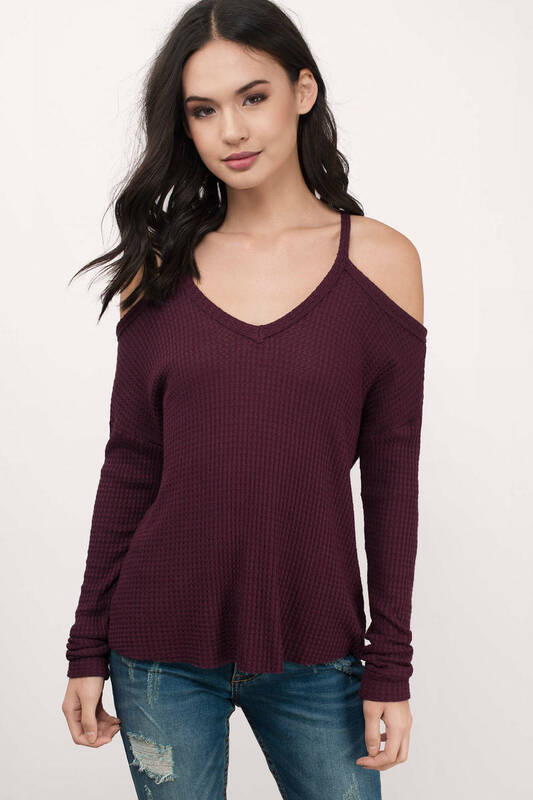 Featuring a ribbed knit material and high low hem. Accessorize it with a choker. 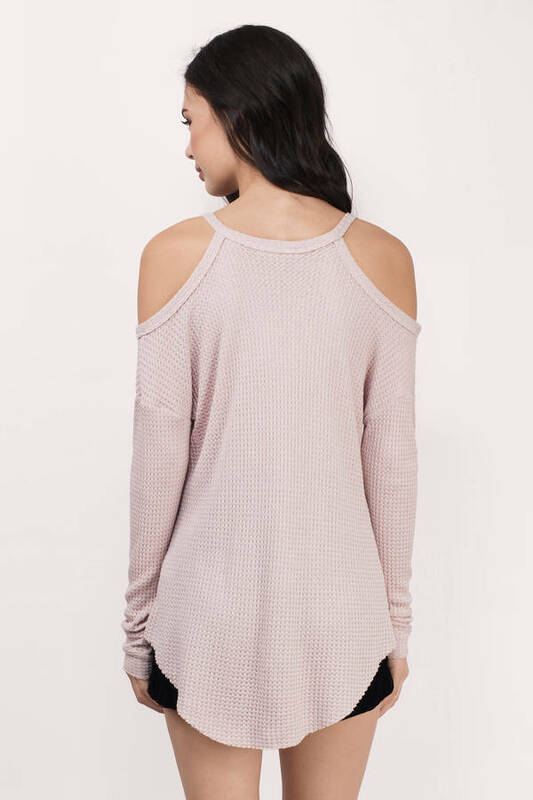 You'll be a ray of sunshine in the Meg Cold Shoulder Top. 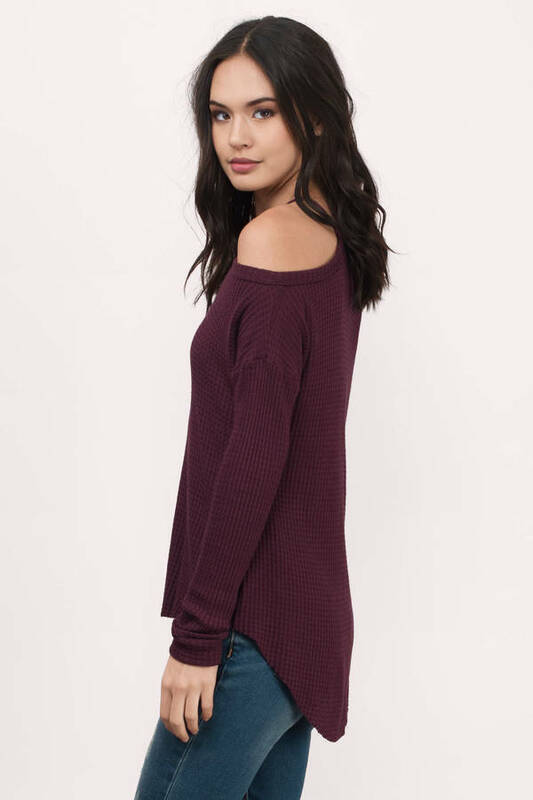 Featuring a ribbed knit material and high low hem. Accessorize it with a choker. Blush & Wine modeled on a size Small.